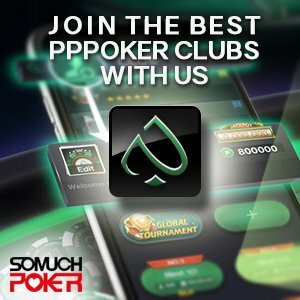 Victor Chong is a Malaysian poker professional who has been attending the Asian live tournament circuit since its early beginnings. His list of achievements consists of numerous final tables and near wins. He finally landed his first-ever career title on October 6, 2018 at the Super High Rollers event of the APT Vietnam 2018 for VND 1,204,870,000 (~US$51,600). Looking back at his emergence into the live scene, on October 2011, Chong had a near-victory at the Macau Poker Cup Main Event, falling one spot shy of the glory to Raiden Kan. This earned him HK$860,800 (~US$110,589) which remains to be his largest score to-date. The years that followed saw Chong cash minimally. From years 2012 to 2016, he posted a combined total of only 29 cashes. His largest payloads were PHP770,000 (~US$18,400) for 5th place at the APT Asian Series Manila Main Event, and HK$488,000 (~US$63,000) in 2014 for finishing 4th at the Macau Poker Cup High Roller event. While those years were light, 2017 saw more activity with Chong visiting the cage 12 times for an overall payout of around US$106,000. Among his five-figure scores that year were: 10th place at the HK$2,200 NLH event for HK$123,100 (~US$15,800), 6th place at the APT Manila High Rollers for US$12,220, and to close out the year, he shipped HK$369,950 (~US$47,334) for his runner-up finish at the APT Macau 2017 Championships Event. Returning to the felt in 2018, his successes began to mount. To-date he has already racked up 20 cashes amounting to an impressive US$370K, which includes his first-ever career victory at the APT Vietnam 2018 Super High Rollers event (mentioned above). Though it was a long time coming, that first victory seemed destined with several near wins earlier in the year leading up to it. In April, Chong finished 2nd to Daniel Demicki at the APPT Korea High Roller event. This awarded him a sizeable payout of ₩71,500,000 (~US$66,760). The following month, in May, it was another runner-up finish at the APT Macau 2018 Championships Event for HK$421,000 (~US$53,600). Then at the Oriental Poker Championship he took 6th at the High Roller event for HK$220,000 and runner-up at the King Size Stack NLH Freezeout for HK$231,000 (~US$29,400). He also cashed at the 2018 WSOP five times with his largest take of US$14,944 at the Millionaire Maker event for his 70th finish. Returning to Asia, he attended APPT Manila where he took 3rd at the High Roller Shot Clock & BB Ante event won by fellow countryman Michael Soyza. Despite another near win, he did however increase his winnings another PHP 1,472,960 for the year. Just before APT Vietnam, in late-August, Chong ran deep at the biggest EPT Barcelona Main Event field ever seen of 1,931 entries. He pocketed €35,500 (~US$41,345) for his impressive finish in 28th place.